Throughout the summer I’ve highlighted books I enjoyed reading. It’s the last week of August, and today is the final installment of Summer Reads for 2018. I don’t know if the books under discussion have been to your taste. They’re all books I enjoyed with historical fiction and literary fiction the most represented genres. The historical fiction has run the gamut from lighter reading to books written more densely. Today I want to introduce you to the two living authors who influence my writing: Antonia Fraser and Philippa Gregory. Both are prolific writers and excellent researchers. Both bring their subjects to life with descriptions that give the readers a “you are there” feeling. Allow me to introduce them to you. Antonia Fraser read History at Lady Margaret Hall, Oxford. She writes History, not historical fiction, about women, men, and events. Her first book Mary, Queen of Scots, appeared in 1969 and broke all sales records for a book about a historical woman written by a female author. 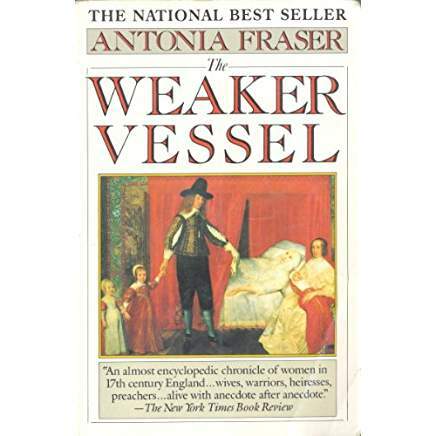 The Weaker Vessel: Women’s Lot in Seventeenth Century England came out in 1984 and is an important book for the field of women’s history. As Fraser wrote about James I, Oliver Cromwell, and Charles II, she found many glimpses of women’s lives and compiled them by occupation. Wives, widows, noblewomen, preachers, writers, actresses, businesswomen, nuns, and midwives all appear in The Weaker Vessel. Fraser’s daily writing routine is mornings from 9:30 until lunch. Her writing room is at the top of the house, her cats banished to wait outside the door. At noon she goes to a local Italian restaurant and has a glass of pinot grigio with lunch. If it’s been a good morning, the wine is celebratory. If the morning hasn’t gone as well as she hoped, the wine is in consolation. Fraser doesn’t work after dinner. 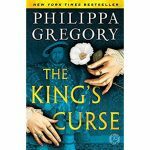 Philippa Gregory is a more controversial figure among historians because she writes historical fiction, which of necessity is less anchored to the historical record than narrative history. She read history at the University of Sussex, and completed a doctorate in 18th century literature at the University of Edinburgh. 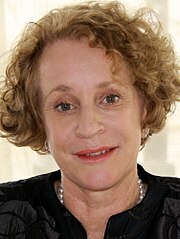 Gregory expected to get an academic position, but after the success of her fist novel, Wideacre (1987), she began writing full time. Gregory is best known for her fifteen Plantagenet and Tudor novels. I’ve read about half of them. Most are written in the first person which makes events immediate for the reader, as in this example from The King’s Curse written from the perspective of Margaret Pole. If you compare this excerpt with the one from Fraser, the difference between narrative history and historical fiction becomes clear. Gregory’s writing day begins after breakfast when she edits her work from the day before. Then she moves the story forward. 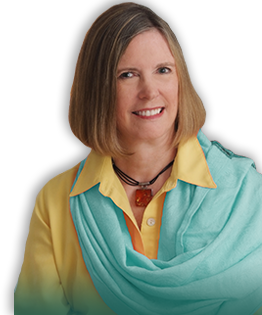 Gregory begins her research with a total biography of a person, and focusses on interesting aspects of the individual’s life that become the foundation for the novel. 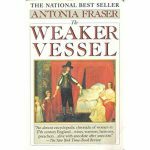 My recent books aren’t set in England, but Antonia Fraser and Philippa Gregory’s commitment to solid research and good writing influence my work, because it’s not about the setting or the subject, so much as a commitment to excellence. Fraser, Antonia. The Weaker Vessel. NY: Alfred A. Knoph. 1984. p13. Gregory, Philippa. The King’s Curse. NY: Simon & Schuster. 2014. p291. 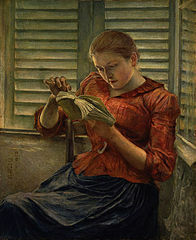 Woman Reading by Kuroda Seiki. Public Domain. Antonia Fraser by englishpen. Creative Commons Attribution. 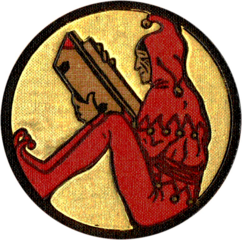 Jester reading book. Public Domain. 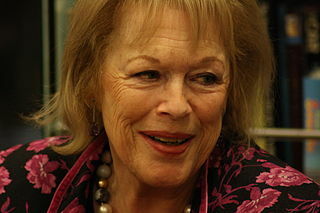 Antonia Fraser. “I was forced to learn typing.” The Guardian. Nov. 11, 2017.